Let Corefact help you become the best agent in town. Below are a few tips on how you can brand yourself as the dominant agent in your neighborhood. Have a listing coming up? Congratulations! Here are a few tips on marketing your listing to sell. Let's make sure you've completed each of these items before you begin showing off your listing to prospective buyers. Most leads discover your listings through a Multiple Listing Service (MLS), so writing descriptions with a punch is critical. Though you have limitations on the scope and length of your MLS descriptions, include the most notable features through descriptive listing copy. Also, include photos that showcase the property’s unique qualities and focus on non-traditional angles so your listing stands out. This may seem like a simple "Of course," but your property flyers are not just for buyers who come through the property. They are also for your sellers. 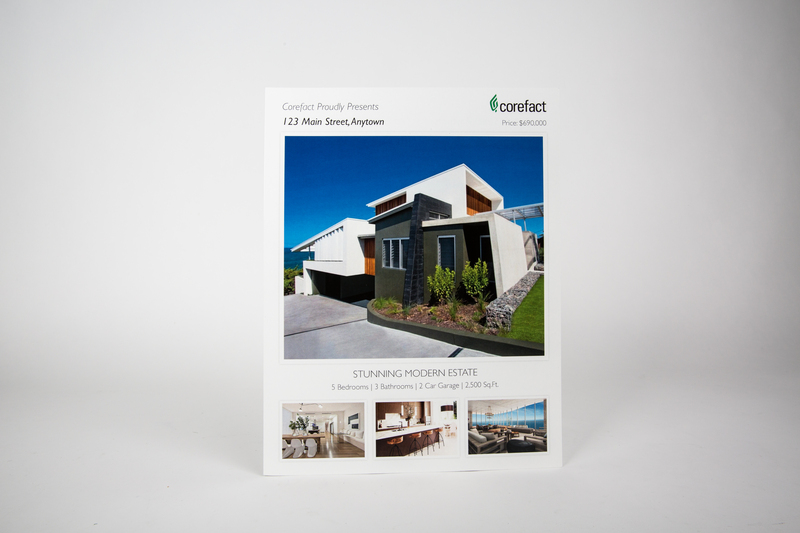 You can show off your marketing savvy with a beautiful property flyer that stands out. Using address riders on your open house A-Frames is one of the easiest and least expensive ways to get more traffic at your open houses. It is also an excellent way to provide potential buyers the path of least resistance and impress your sellers. While many prospective buyers will be out-of-market leads, it’s good practice to announce your listings to the local area. High-quality mailers are great resources to mail to your entire local network because they notify current residents who may have contacts interested in moving to the area, and receiving marketing mailers keeps you top-of-mind should they choose to buy or sell in the area. 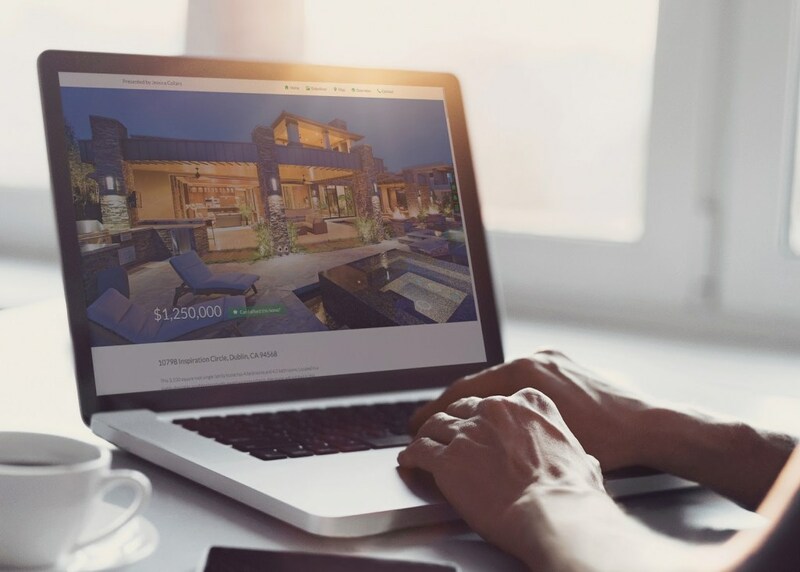 Creating a whole website for a listing is something many agents will do when they want to garner lots of interest. The benefits of this are that you can brand the whole site around one listing and focus the experience on lead capture and lead nurturing. This also allows you ample space to present creative assets for the singular listing you want to showcase. You can then track the site’s traffic and engagement to see how your real estate marketing efforts have paid off. While posting an update every few days may get you some engagement, Facebook marketing campaigns are more successful when they’re multifaceted. Create a Facebook event to invite your followers. Lots of photos of your listing you’d like to share? Create a Facebook album that showcases your listing's best photos. Title the album with the street address and be sure to include descriptions and links in both the album description and on each photo. Want to get more eyes on your listing updates? Try Facebook Boosting or Ads to promote them to a wider, targeted audience. When creating an all-around experience for potential buyers, few things impress more than real estate videos. Video tours allow you more creativity to showcase angles and depth, as well as add in mood music or narrative that incites emotional reactions that make consumers take action. If a professional videographer is a bit out of budget, modern technology allows you to approach professional-quality at the flick of a finger. Download and save these listing tips here.